Steering Hubs - What do you need? Ok, so you have no idea what parts you need to install a particular wheel. This page will hopefully explain it. There are basically 2 types of hub assemblies. The first is the stacked assembly as shown below in the first picture. This method allows the most flexibility in wheel style and allows choices in the length from the dash. 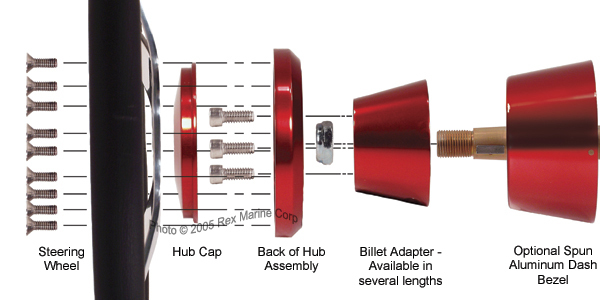 The Hub is a 2-piece assembly consisting of a cap and a hub back and mounting bolts. Typically these hubs fit specific types of wheels and have an internal 6-bolt pattern which mounts to the popular 3-bolt steering wheel pattern. 3 bolts are used, the other 3 are not, this allows for proper indexing of the wheel more easily. The next component is the adapter. 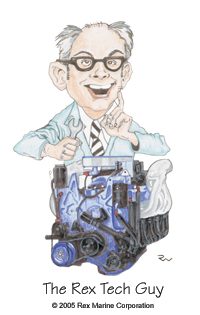 This piece accepts the Hub above and typically fits on the shaft of a given type or brand of steering system. Adapters are available in several lengths to enable you to adjust the wheel distance from the dash. Our billet adapters as shown in the photo below have 12 threaded holes for the hub. You will utilize only 3 of the 12 holes. Again this done for ease of indexing the steering wheel properly. The back side of the adapter has a keyed tapered hole that slides over the steering shaft and is secured with the large nut visible in front of the adapter in the photo. The final piece is optional and is applicable to some systems only...the aluminum dash bezel. It is strictly a dress-up piece that replace some stock plastic bezels (or helm covers). The second type of steering wheel mounting is done with what we call the 1-piece hub below. This part is a fixed length and mounts directly on the steering shaft of the helm. It is essentially the above Hub and Adapter assembly melded into one part. The 1-piece hubs are not available for all wheel styles and come in only one length. 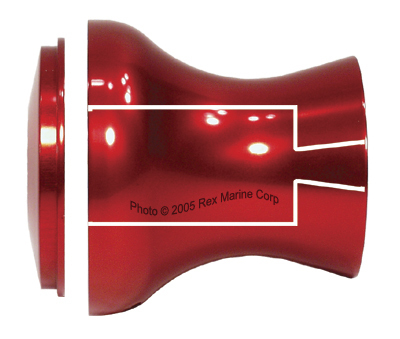 The white line in the photo below is used to illustrate the internal cavity in the hub where it attaches to the helm. These hubs have 3/4 taper shaft holes common to most steering systems.